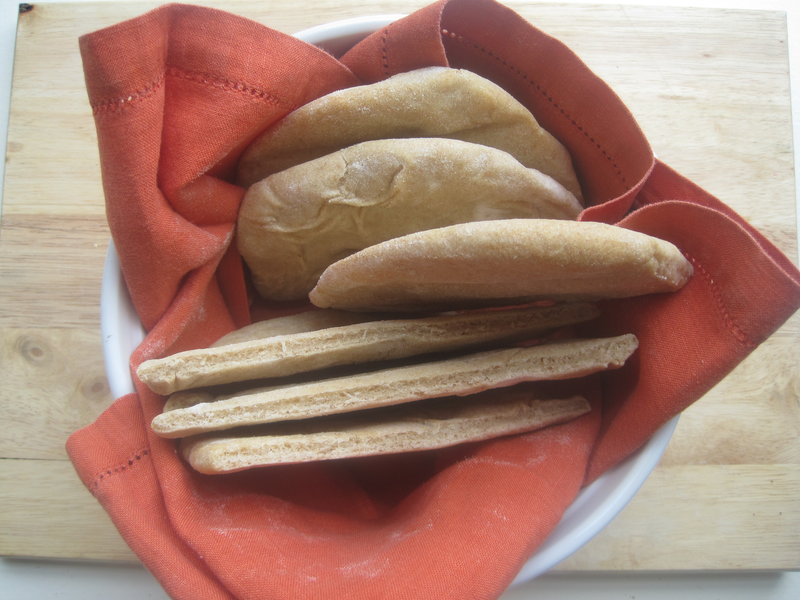 It’s a bit of a process to make, but warm, freshly baked pita bead is worth the effort! I was hoping for even fluffier pita, and am wondering if I should have rolled the dough out slightly thicker. Does it matter that the yeast I used was about a year old? Not sure. I filled the pita pockets with slow-roasted lamb and lots of tzatziki sauce. Stay posted for those recipes and pictures! 1. In a mixing bowl, combine yeast, honey, and 1/2 cup warm water. Let mixture bubble, about 4 minutes. 2. In a second bowl, stir flours together. Mix 1/2 cup of flour mixture into yeast mixture. Cover with saran wrap and let stand for 40 minutes, or until dough doubles in size. 3. Add remaining flour mixture, remaining water, oil, and salt to dough. Knead dough on floured surface for about 10 minutes. Place ball of dough in a greased bowl. Cover bowl with plastic wrap and let rise for 1 hour. 4. Punch dough. Separate dough into 8 balls. On a floured surface, flatten each dough ball and roll disks out with a rolling pin until they are about the size of average pieces of pita bread. 5. 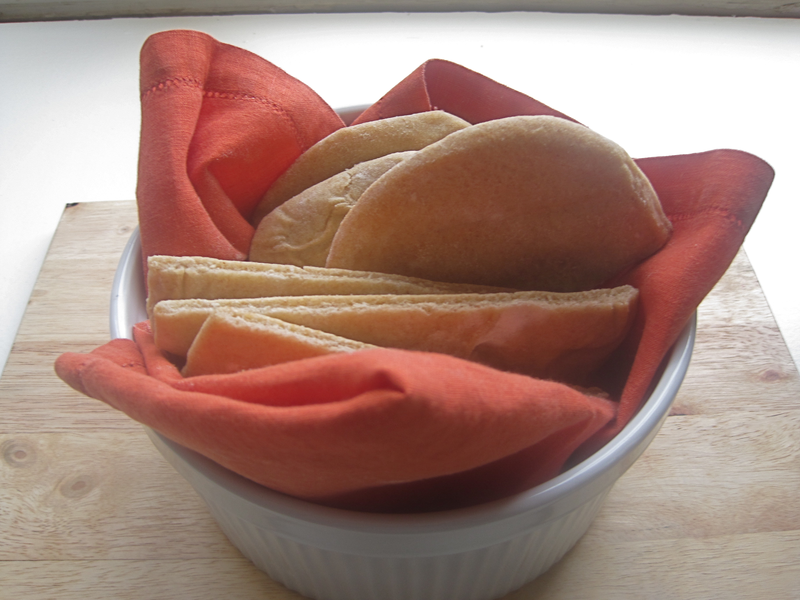 Place rounds of dough onto baking sheets dusted with cornmeal. Cover dough loosely with kitchen towels and let sit for 30 minutes. 6. 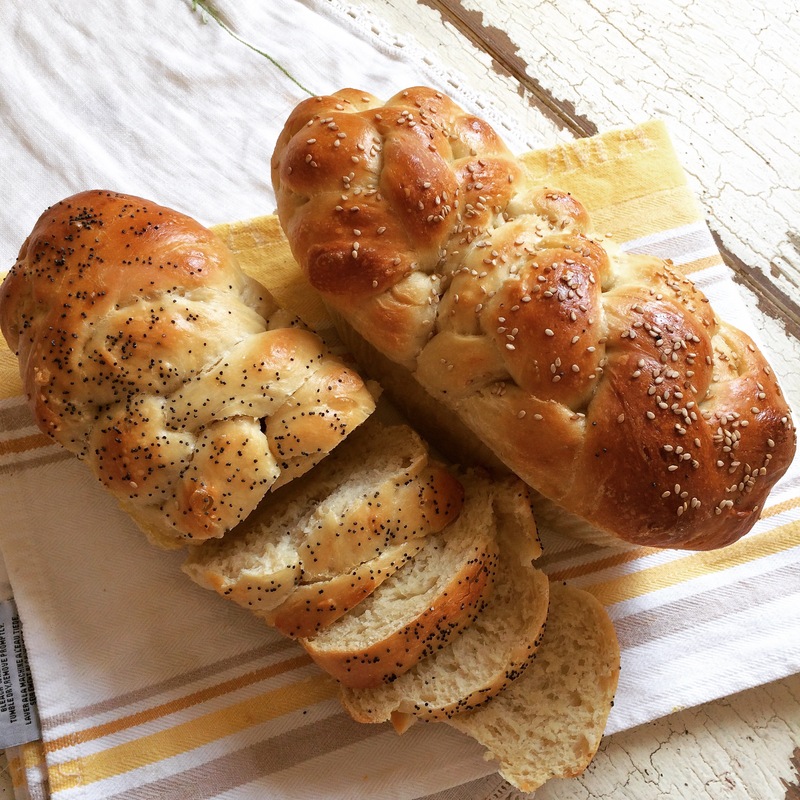 Preheat oven to 500º F. Place dough directly on oven rack and bake for 2 minutes per side. 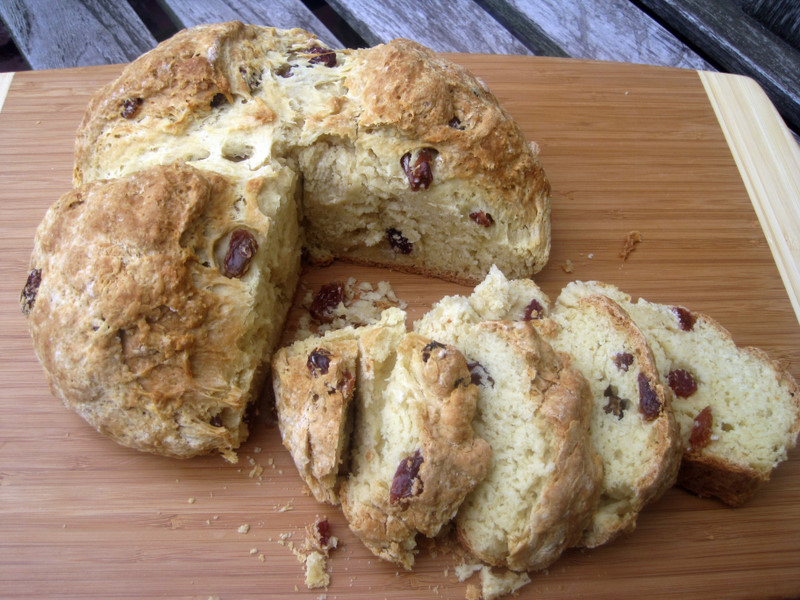 Did you know there is no yeast in soda bread? Without any rising time, this Irish recipe is a quick and simple treat for St. Paddy’s Day! Slather with butter and enjoy. Directions: Preheat oven to 375 degrees F. Stir together sifted flour, sugar, salt, and baking powder in a bowl. Using your hands, mix butter into flour mixture until mixture is crumbly. Add raisins. In a separate bowl, whisk buttermilk and egg together. Add baking soda to buttermilk mixture. Mix buttermilk mixture into flour mixture until well combined. 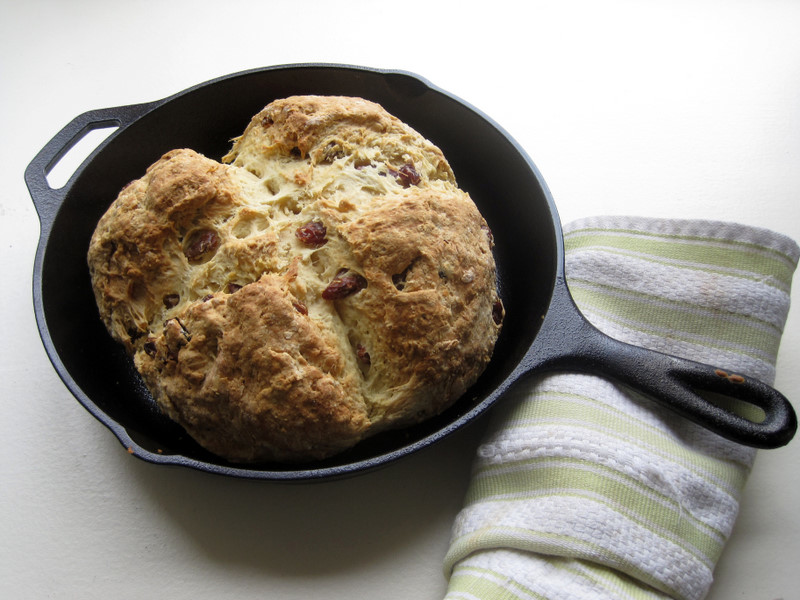 Form dough into a ball and place in a greased baking dish. Using a greased knife, make a large cross about 1/2 -inch deep on top of dough. Bake for 50 minutes or until golden brown.